No Track Shoes from Sponsors for One Starter? whoever wins it is a race for survival for public. This is a classic cartoon. Tilvin with only a red underwear. IS THIS "BANIS KAAMEY THARANGAYA" OR "COMIS KAAMEY THARNGAYA"
Thumbs up to Made In USA ..!Made in China .!! 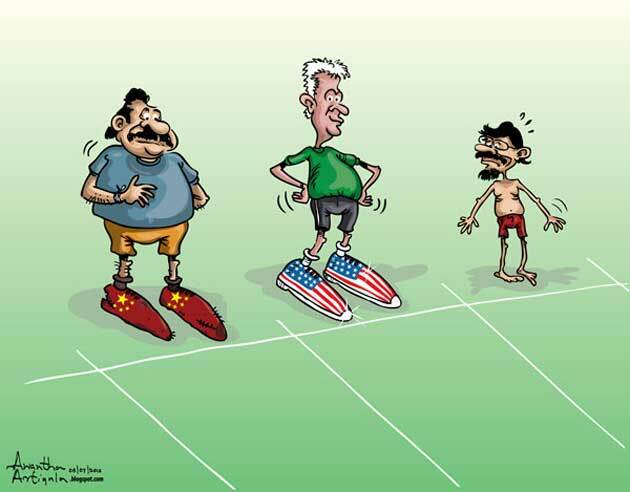 AS USUAL NO ONE IS INTERESTED ABOUT SRLANKAN RUNNING SHOES.